Floating balls in Singapore's marina mark the Chinese New Year – a year which will have particular significance for the island nation's water. 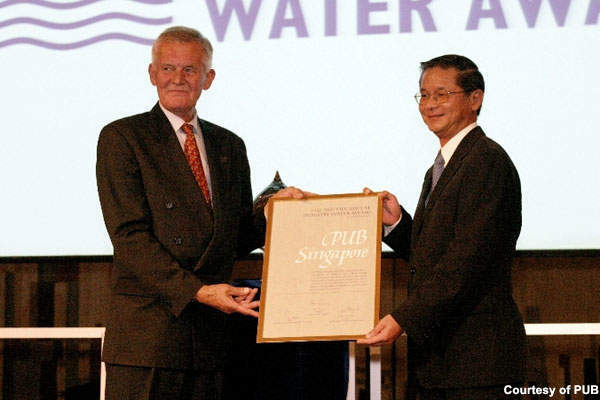 The first ever Singapore International Water Week runs from 23-27 June 2008. Khoo Teng Chye, PUB's CEO, receives the Stockholm Industry Water Award from Peter Forssman, chairman of the Stockholm Water Foundation. 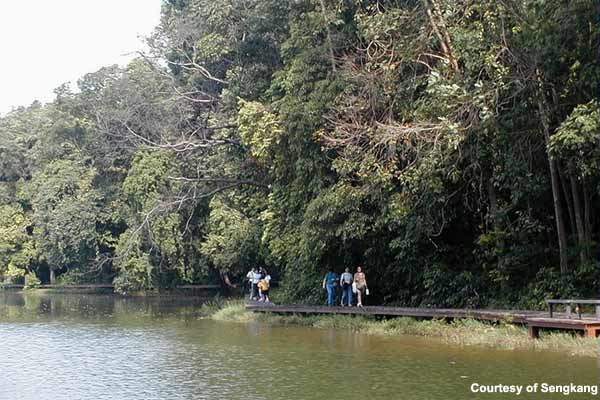 The MacRitchie Reservoir – Singapore's first – was completed in 1868. 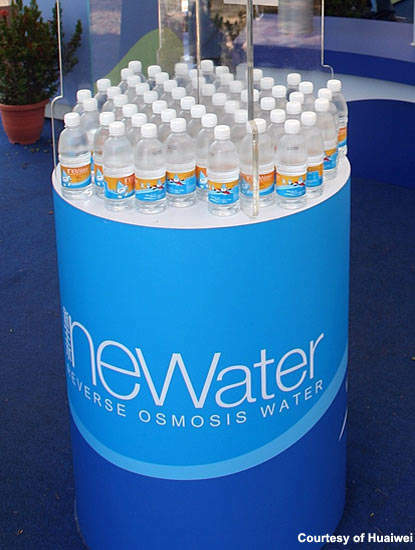 Bottles of NEWater at the 2005 National Day celebrations. Increasing water recycling facilities is expected to form the country's main focus for the near future. 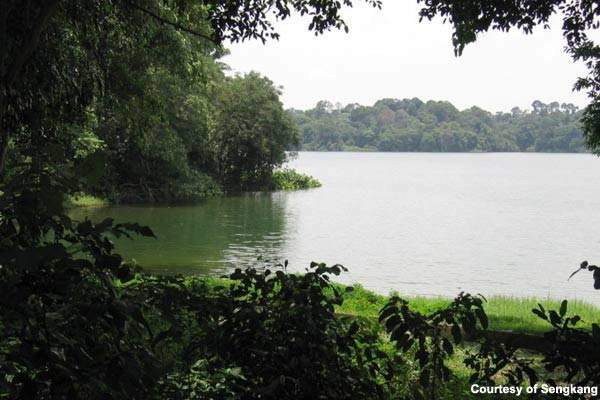 Upper Seletar Reservoir – the country's third impounding reservoir. 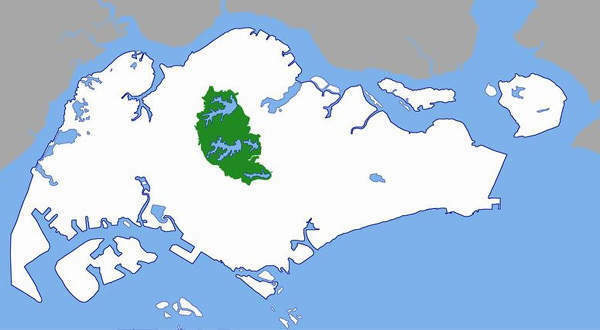 Outline map of the central water catchment area; Singapore island is divided into 55 urban planning areas and two water catchment areas. 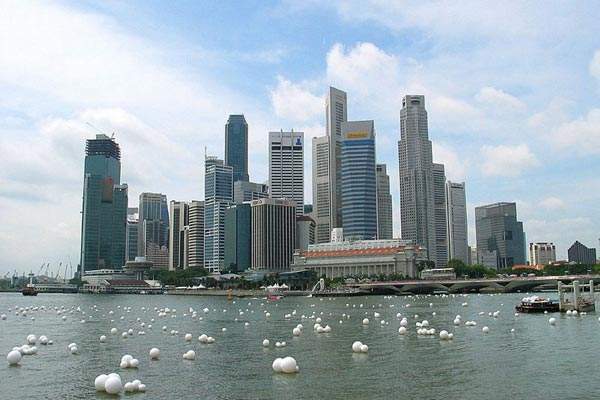 At a time when an increasing number of countries are facing growing water shortages, Singapore’s approach to meeting its burgeoning needs has become widely recognised as a model for sustainable management. Though the island city-state has depended on Malaysia for water for much of its history – and especially throughout the 43 years of its separate nationhood – the relationship between these regional neighbours has not always been an easy one. Once part of the same country, divisions of politics and policy have periodically emerged, which have sometimes made for turbulent times – and with Singapore currently only able to satisfy around half of its water needs, ensuring security of supply has been an ever-present concern. The basis of the existing arrangement lies in two agreements lodged with the UN, signed in 1960 and 1961 – due to expire in 2011 and 2061 respectively – which formed part of the 1965 separation agreement to create the newly independent Singapore. While these define the terms and price of supply, they have been the subject of contention over the intervening years, with Malaysia seeking to revise the price upwards and Singapore – unsurprisingly – insisting on the immutability of such international accords. a further $1.47bn in the next five years on water infrastructure. At the heart of the nation’s approach to water management is a policy based around what the Singapore Public Utilities Board (PUB) terms its ‘four taps strategy’. Although Singapore enjoys plentiful rainfall – an average of 2,400mm a year – with a population of 4.6 million and a land area of less than 700km², it is officially classified as a ‘water-stressed’ nation, having a water availability of less than 1,000m³ a year per person. High population density affords sustainable water resources management particular importance and in recent years, the traditional sources – catchment harvesting and Malaysian imports – have been increasingly augmented by reclaimed water and desalination as the two new ‘national taps’. Marketed as NEWwater, recycled wastewater has been successfully integrated into the supply, initially for non-potable uses and then, blended with reservoir water, for potable purposes. Currently the three PUB-built plants recycle nearly 90 million litres a day, the effluent undergoing membrane ultra-filtration, reverse osmosis and UV treatment before entering the reservoirs. A fourth facility has been built by Keppel and by 2010, when the fifth – from SembCorp Industries – is complete, recycled water is expected to provide some 30% of the state’s supply. Having bottled NEWater also available for sale in supermarkets and other outlets has played a major part in boosting consumer confidence in the product and driving its wider acceptance. 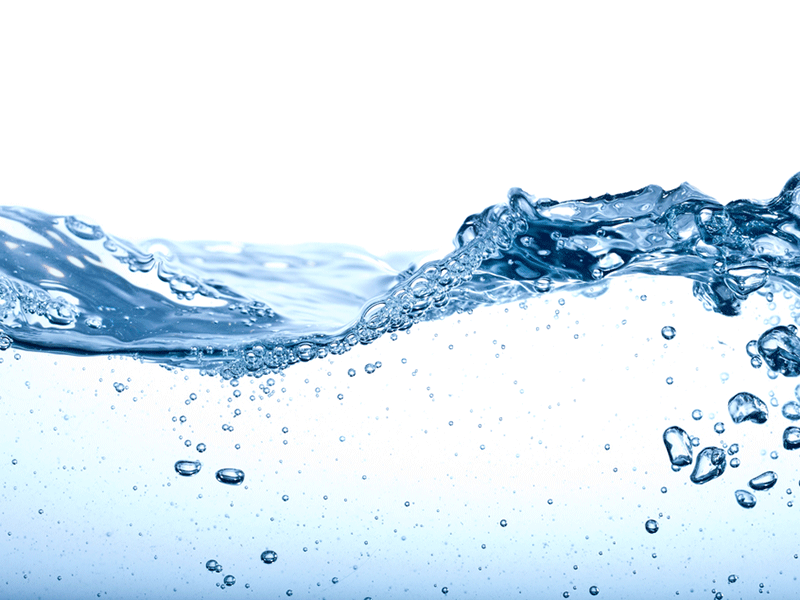 Desalination – the fourth ‘tap’ – also offers some promise for national self sufficiency. The SingSpring SWRO plant, Singapore’s first desalination facility, and at 4.1kWh/m³, one of the most energy efficient in the world, was opened in September 2005, achieving a first year selling price of $0.48/m³ – a record low for desalinated seawater. This plant has the capacity to produce around 136 million litres a day, which amounts to around 10% of the national water requirement. Although historically political disagreements between Singapore and Malaysia have ultimately been resolved, there was serious speculation in some quarters – particularly early in the current century – that water could be the catalyst for armed conflict. A number of analysts pointed to the increased demands of the burgeoning population within an industrialising Malaysia, coupled with the nation’s perception of the Singapore water deal as a largely one-sided affair as a potential flashpoint in the coming years. However, the late Professor Michael Leifer, a leading scholar of the region’s international relations, observed that while Singapore tends towards the ‘realist paradigm’ and finding its own solutions, it is not at the exclusion of more neo-liberalist attitudes. As such, there is a clear inclination towards achieving security and prosperity through cooperation rather than conflict. The country’s ongoing programme towards self sufficiency stands as effective testament to both ideologies. Current projects include the provision of three new reservoirs – one involving damming the Marina Bay harbour to create a freshwater reservoir by early 2010 – to make a total of two-thirds of the country a water catchment area within three years. In addition, Singapore is also looking to diversify foreign sources of supply by piping in water from Indonesia’s relatively underdeveloped Rhio archipelago. The interests of national resource security – and obviating perceived vulnerabilities – have proven powerful drivers on moves towards self sufficiency. Keeping the project on track has certainly not been cheap. Aside of the current $1.47bn infrastructure spending, some $20m has been spent in research and development projects, while individual plants, such as the SingSpring SWRO and Ulu Pandan reclamation facility cost $200m and $380m respectively. With demand for water predicted to keep pace with the anticipated 4% to 6% economic growth, industrial needs also rising and evident benefits to be had from regionally de-securitising water, the case for investment largely makes itself. As a result, although PUB have shouldered most of the burden, the private sector also has been quick to capitalise on governmental R&D initiatives and develop solutions to suit its own needs. In 2007, PUB won the Stockholm Industry Water Award, with a citation that describes the project as ‘an exemplary model of integrated water management in a framework of good policy and innovative engineering solutions’. This perhaps provides the clearest example of the benefits of Singapore’s drive towards self sufficiency – possibly 80% by 2011 – and with the very real prospect of entirely sustainable, self-contained water management by 2061, the goal appears a perfectly achievable one.